Your retirement income means a lot to you. It not only symbolizes a life full of work and sacrifice, but it’s also your resource for living out your Golden Years in comfort and dignity. What’s more, you want to get the best annuity rates in Phoenix so that you can enjoy your life beyond retirement. It’s not enough to hope that you have enough money. You want to develop a robust strategy that mitigates risk and maximizes your retirement income. The best annuity rates alongside the right plan are what you can start with to protect your retirement. Hoping that you will have enough isn’t a great plan. That’s why you need to work with a professional to get the plan that fits your lifestyle. Your primary concern is having enough money to last you through retirement. Know that you’re not alone in making this happen. Income For Life is here to help you get the best annuity rates in Phoenix and retire with income that will last you for the rest of your life. What’s more, you can define your inheritance so that when you do pass, your money goes to good use. Call Income For Life Today! 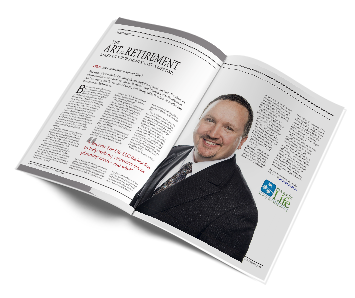 Do you need retirement income guidance? Looking to retire with enough money? Income For Life is here to help. Call to book your consultation today!